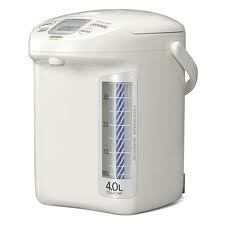 Zojirushi Tea Water Heater - 4 Liter | Buy Online Now! ON SALE! 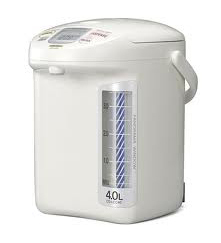 Zojirushi CDLCC40 4-Liter Micom dispensing pot. Perfect settings for each tea family. 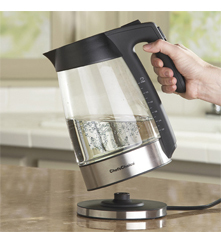 The most popular water heater found in tea bars and tea shops across America. Easy to read water level gauge to check how much water there is left and one-touch electric dispensing system for easy dispensing. It also has a large LCD display that shows the actual water temperature at all times. 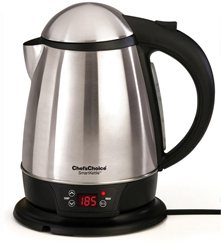 The temperature settings available on this model are 175°F, 195°F and 208°F. Also available in 5-liters.